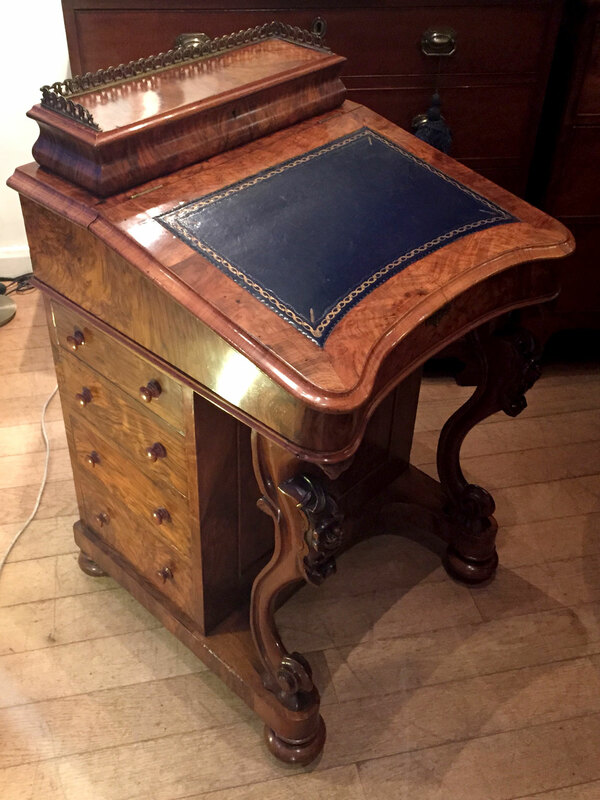 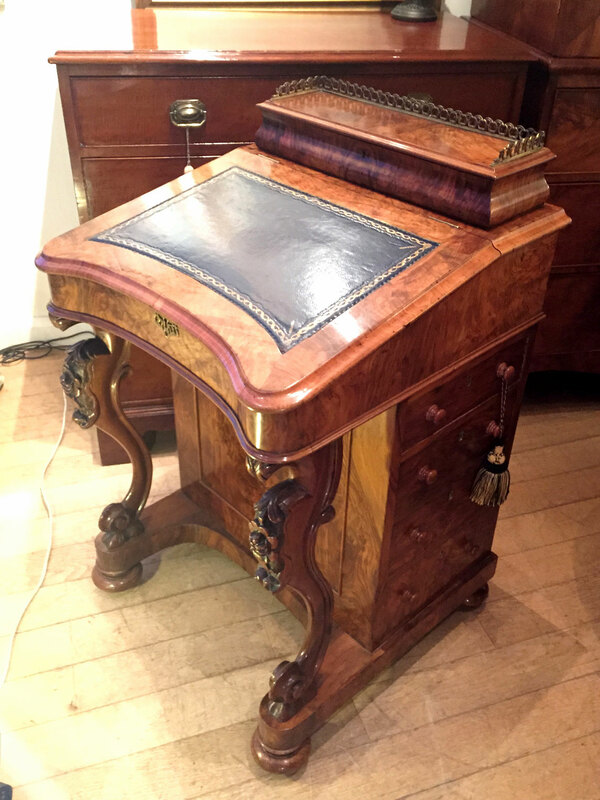 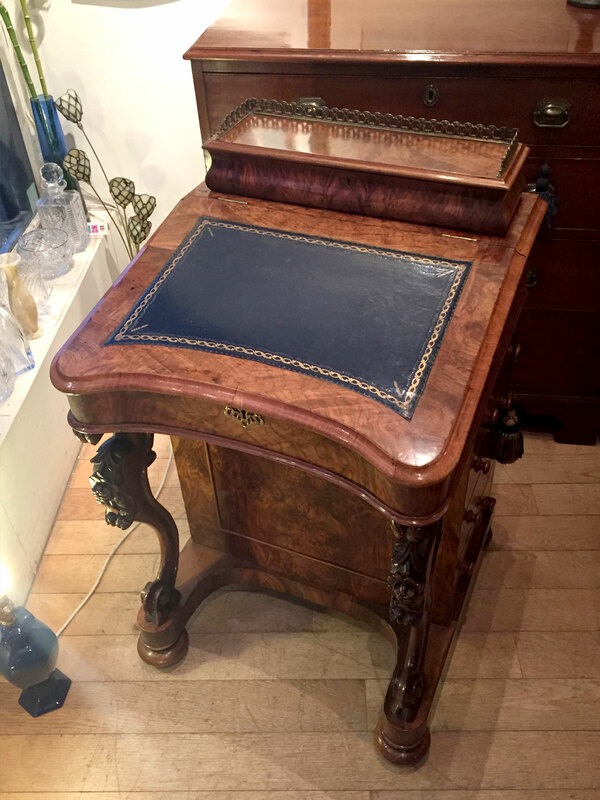 19th Century Victorian Burr Walnut Davenport with carved cabriole supports on a sloping writing surface. 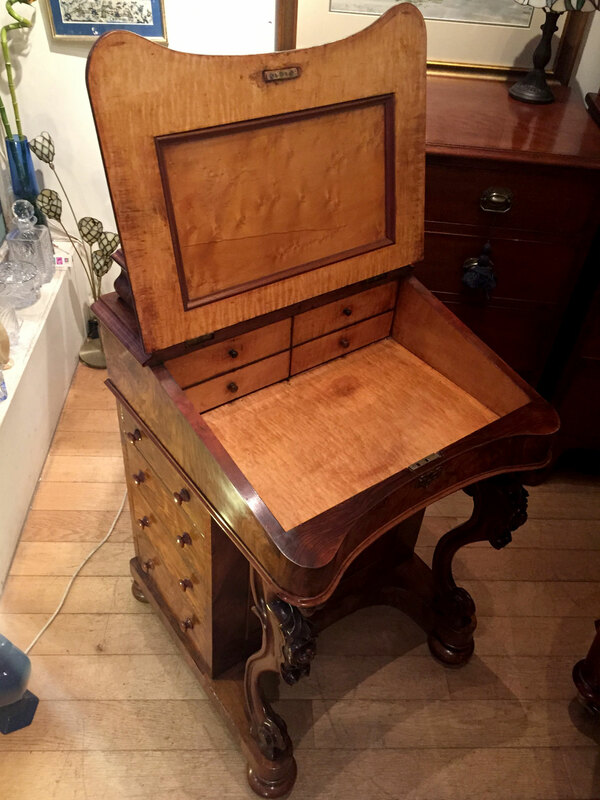 Satinwood interier inside with two drawers and two dummy drawers. 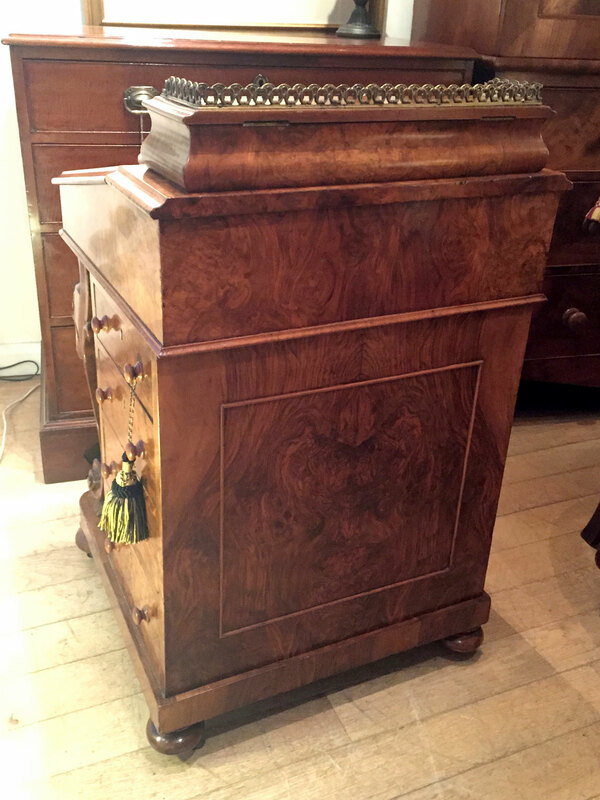 Original brass gallery to lift up top with compartments inside. 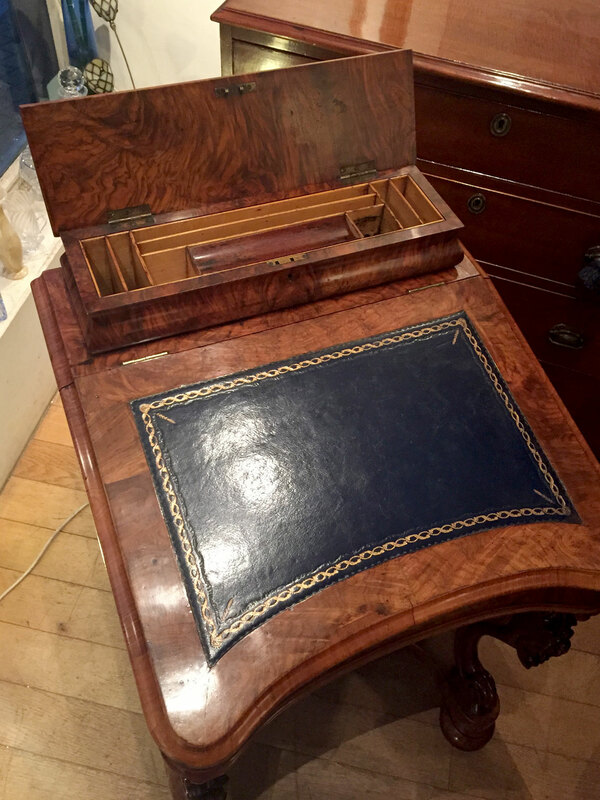 Four mahogany drawers to one side with dummy on the other side.